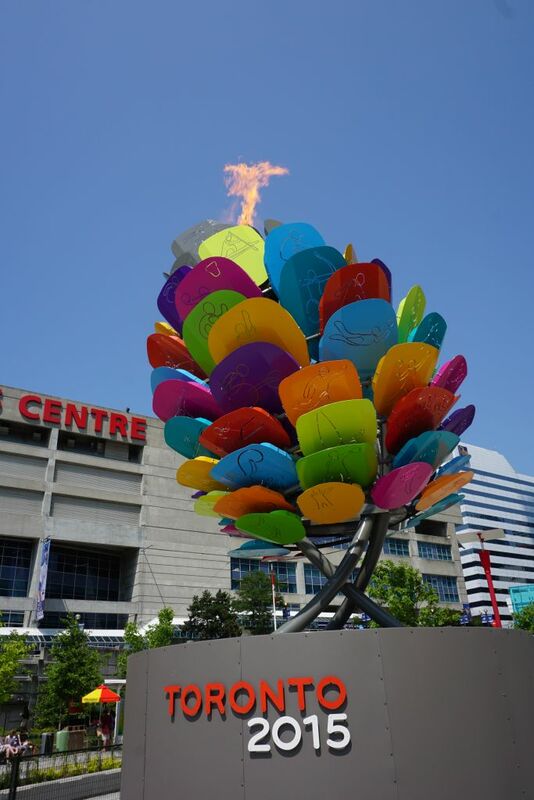 The 2015 Pan American Games ended last Sunday in Toronto. The U.S. delegation came on top in the medal table, followed by the host country Canada, which achieved their best performance ever in the history of this continental multi-sport event. Venezuela finished eighth for the second consecutive edition and got the fewest amount of medals (both gold and total) since the 1999 games (coincidentally also in Canada, but in Winnipeg). Our athletes’ final haul was eight golds (including two for Olympic fencing champion Ruben Limardo), 22 silvers and 20 bronzes to make 50 overall. Before Toronto 2015 started, Sports Minister Pedro Infante said that Venezuela “…would fight for the seventh place with Argentina”. The Argentine delegation didn’t just keep the seventh place, but they doubled us on golds and had 25 more medals in general. Sports Vice-Minister for High Performance José Alejandro Terán admitted the need to improve the athletes’ physical training, including its control and supervision. Also, he wants to increase support for trainers, judges and referees. Venezuela’s performance in recent Pam-Am Games has been quite peculiar: After the low point in Winnipeg ’99, the country got a historical high in Santo Domingo 2003, followed by a slow decline in Rio 2007 and Guadalajara 2011 reaching a low point again in Toronto 2015. In comparison, our Colombian neighbors have been increasing steadily in the last five editions. With an Olympic cycle edging towards its culmination in Rio next year, Venezuelan sport authorities are putting their hope in the next one. It won’t be easy though, as Colombia will host two of those events: 2017 Bolivarian Games in Santa Marta and 2018 Central American and Caribbean Games in Barranquilla (replacing former host Guatemala). But Venezuela wasn’t the only nation who left Toronto disappointed: Cuba got only 97 medals, including 36 golds. That’s the lowest count for the Caribbean nation since the 1971 edition in Cali, Colombia. And if that isn’t enough, 28 Cuban athletes deserted during the games.